TOWACO, NJ. 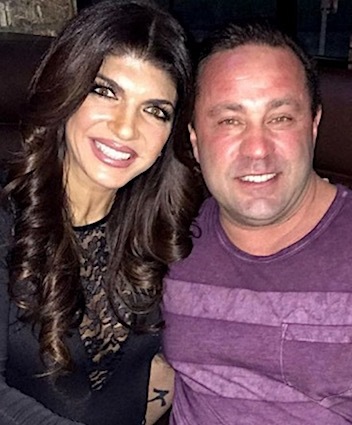 (THECOUNT) — “The Real Housewives of New Jersey,” star, Joe Giudice, who appeared on the popular reality show along with his wife, Teresa, is set to be deported to Italy. The reality star was ordered to return to his native Italy at the conclusion of his prison sentence, Page Six reported on Wednesday. Joe now has 30 days to file an appeal on the decision. He is set to be released on March 14, 2019, per Bureau of Prisons records. Teresa reached out to President Donald J. Trump several months before her husband began serving his 41-month sentence, and asked him to step in. This was before he was elected President, but she hoped the letter would help Joe get a lighter sentence, sources close to the Giudices told TMZ. Teresa and Trump “got along” while she was on the fifth season of the ‘Celebrity Apprentice’ in 2012. Trump’s office — and not Trump himself — wrote a letter back saying he would not be able to assist in regards to Joe. His staff wished her and her family well, TMZ reports.